Create an engaged, high performance team that aligns with company goals. Rhythm makes it easy for managers to coach their teams to success. Real time KPIs and comments let's you know who needs help and why. 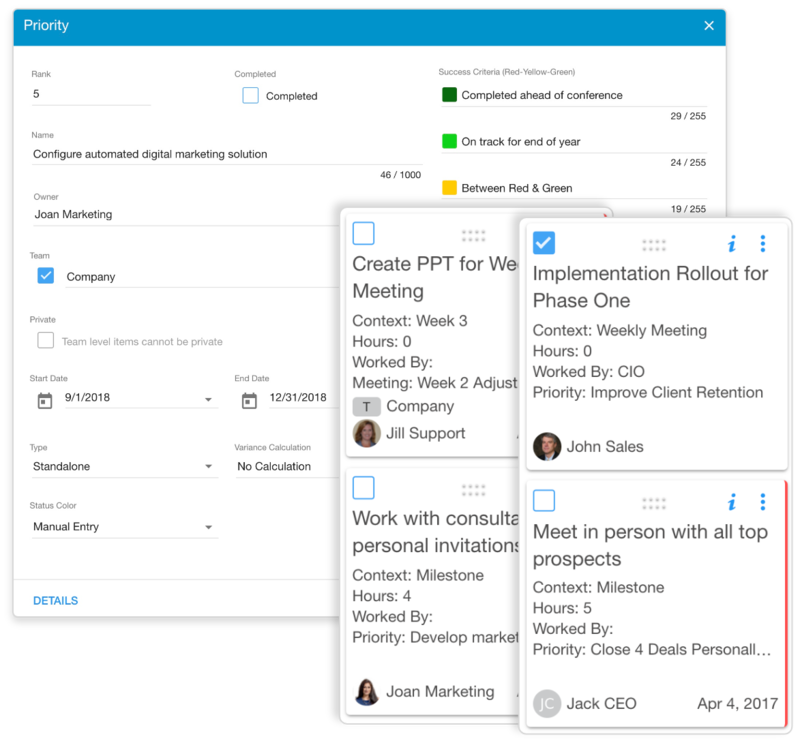 Get a clear view of everything your team is working on. Help everyone know what they need to do and how success is measured. Identifying bottlenecks and overloaded team members can be difficult and the results costly. Find them before they become a problem. 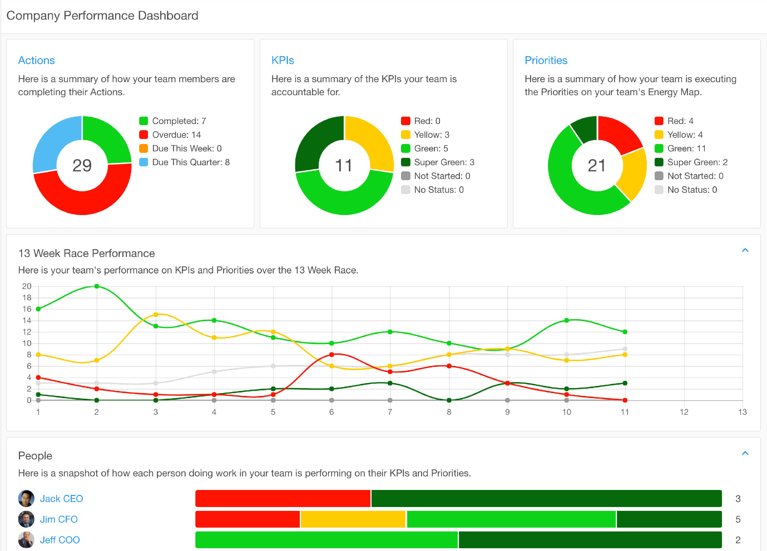 Your team performance dashboard gives you a quick view into how well your team is executing your plan for this quarter. 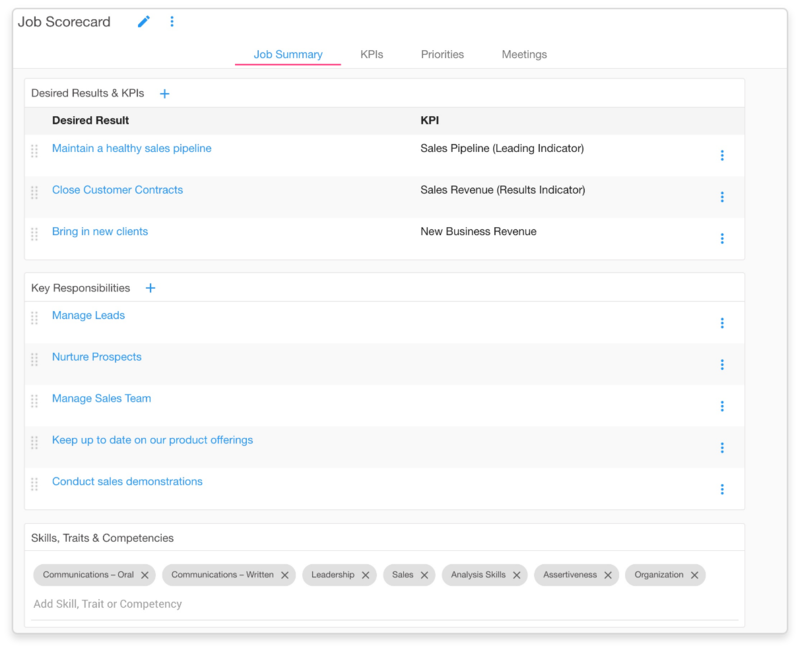 Easily see actions item and KPI statuses, quarterly trends and an interactive snapshot of how team members are performing. Priorities help define the work needed to be done to move the business forward. Action items, milestones on your priorities, provide a clear view of current progress and role accountability. In place of wasting time on status updates each meeting, Rhythm Software assures there is action towards your plan. Unclear roles and unclear goals create stress, lack of accountability, and poor performance in an organization. Each person deserves to know exactly what they are responsible for and how success will be measured. Job Scorecards will help you clarify each role in your company. 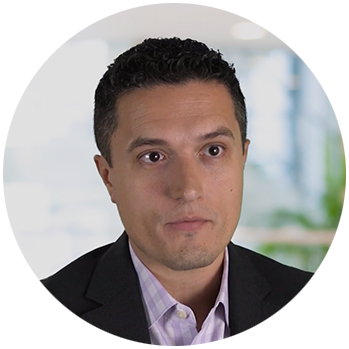 "Rhythm provides me true transparency across all business unites so I can identify any gaps in executing our strategy and lead our team to success. Without that, I'd be lost. There are simply too many details to track." Wouldn't it be easier if you just knew who needed help and why? Have you ever been frustrated that you were the last to know that someone needed help? The best managers have real time information to coach their teams to success everyday and every week. Get real time information to coach your team to success. We're here to help.